Product prices and availability are accurate as of 2019-04-12 09:06:44 EDT and are subject to change. Any price and availability information displayed on http://www.amazon.com/ at the time of purchase will apply to the purchase of this product. 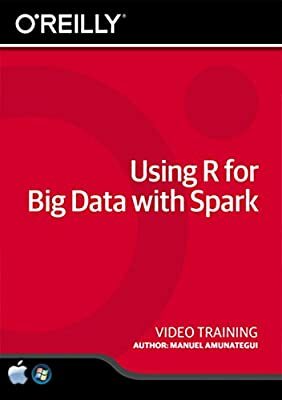 Data analysts familiar with R will learn to leverage the power of Spark, distributed computing and cloud storage in this course that shows you how to use your R skills in a big data environment. You'll learn to create Spark clusters on the Amazon Web Services (AWS) platform; perform cluster based data modeling using Gaussian generalized linear models, binomial generalized linear models, Naive Bayes, and K-means modeling; access data from S3 Spark DataFrames and other formats like CSV, Json, and HDFS; and do cluster based data manipulation operations with tools like SparkR and SparkSQL. By course end, you'll be capable of working with massive data sets not possible on a single computer. This hands-on class requires each learner to set-up their own extremely low-cost, easily terminated AWS account. Manuel Amunategui is a data science practitioner, consultant, teacher, and author with 16+ years of data science experience. A former quantitative analyst for a Wall Street brokerage firm, he now serves as the lead data scientist for Providence Health & Services in Portland, Oregon. In his free time, Manuel does competitive data modeling on Kaggle.com, CrowdANALYTIX.com, Datascience.net, and DrivenData.org. 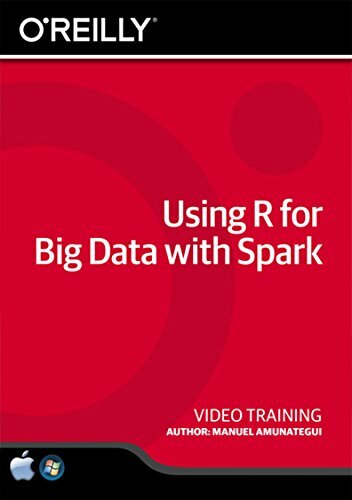 Learn Using R for Big Data with Spark from a professional trainer from your own desk. Visual training method, offering users increased retention and accelerated learning Breaks even the most complex applications down into simplistic steps. Easy to follow step-by-step lessons, ideal for all Comes with Extensive Working Files!